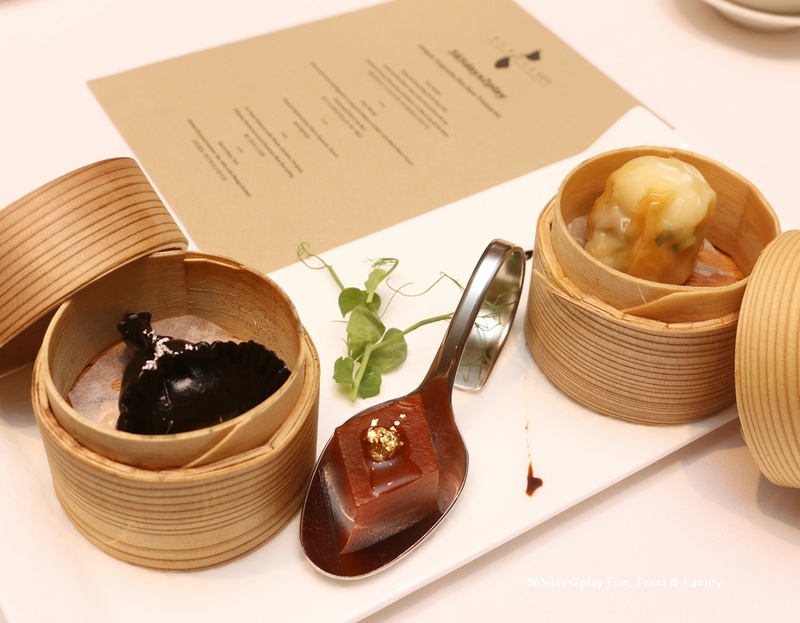 Here are the familiar favourites har gow and siew mai that have been jazzed up. If they can do squid ink pasta, why not squid ink dumpling skin? And of course a little truffle and gold flakes never hurt. 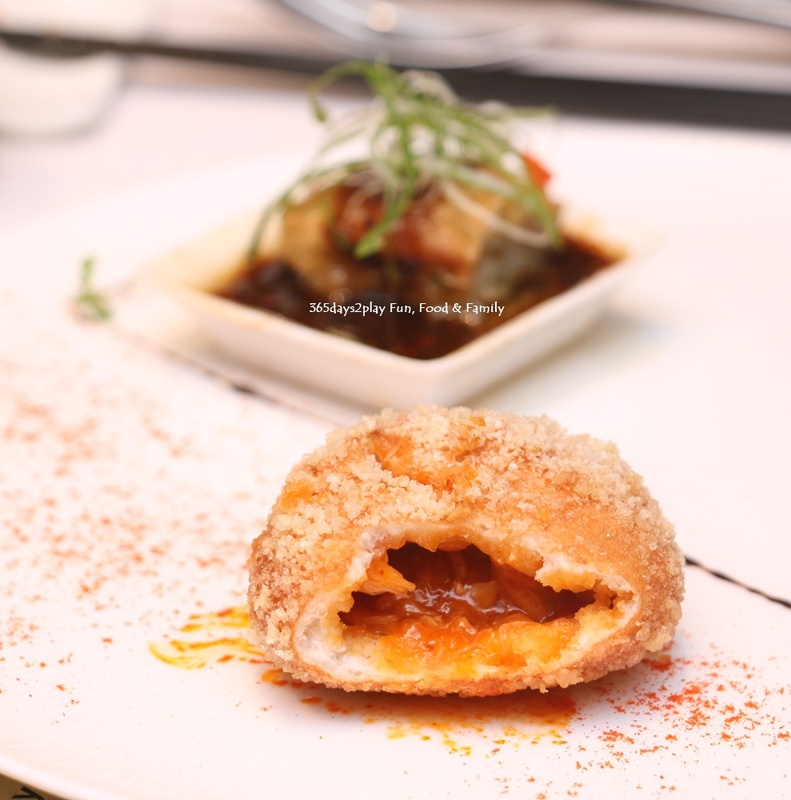 But the crux of a good prawn dumpling is having the voluptuous little parcel burst with rich prawn and pork juices as you bit into it, and this definitely passed the taste test. 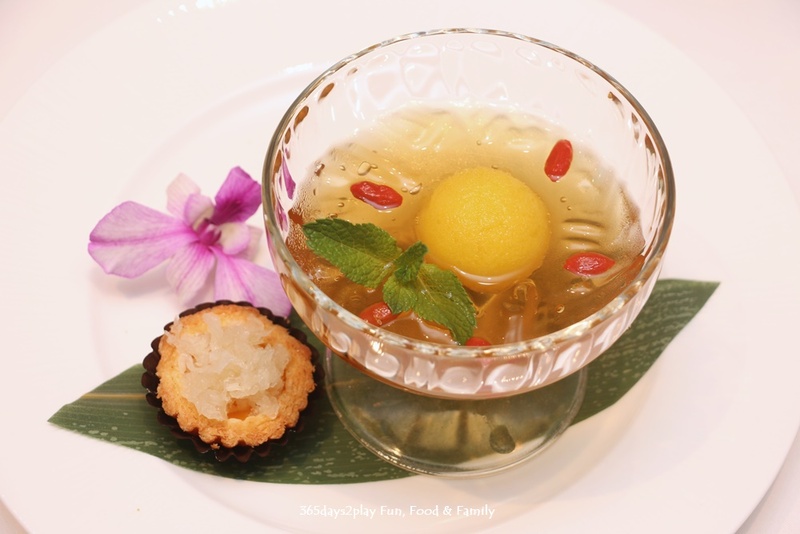 And I’ve never heard of quail eggs being encased within siew mai before. Apparently it was very popular decades ago. It’s not a bad idea actually, it brings a new dimension and texture to the usual kind of siew mai, and it also cuts down on the fatty pork flavour, if you like that. Apparently quail eggs have multiple health benefits such as improving sleep regulation and bringing radiance to the skin. Never been much of a fan of red date cakes, but this was a nice and light version and thoroughly enjoyed by my dining companion. Red dates are a natural sweetener and high in fiber, so it does not hurt to indulge just a little bit more. 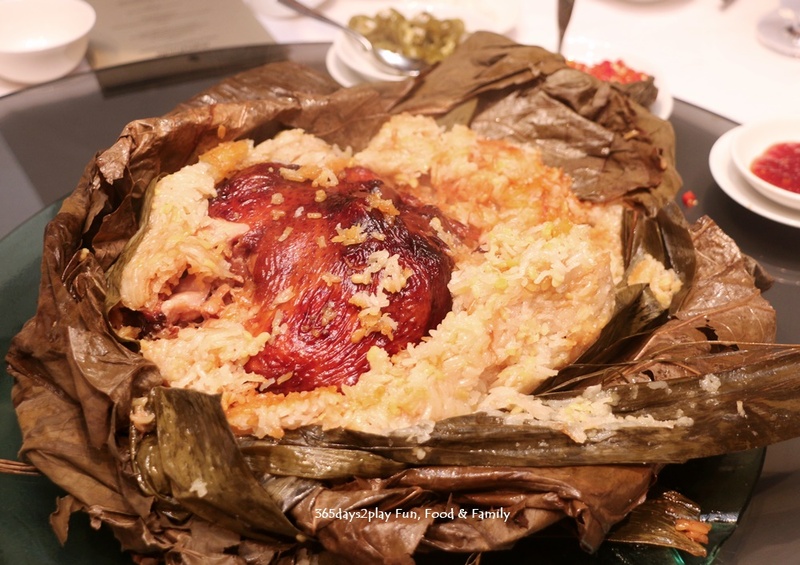 The parcel in the square dish is the steamed prawn with eggplant wrapped in beancurd skin. Prawns wrapped in beancurd skin are common enough, sometimes with mango or banana to give sweetness. Again, the use of eggplant was a first for me, and quite a good idea too because it provides a creamy yet savoury flavour. One of the stars of the evening, this tasted so good everyone was clamouring for more. Chili crab with fried mantou needs no introduction in Singapore. 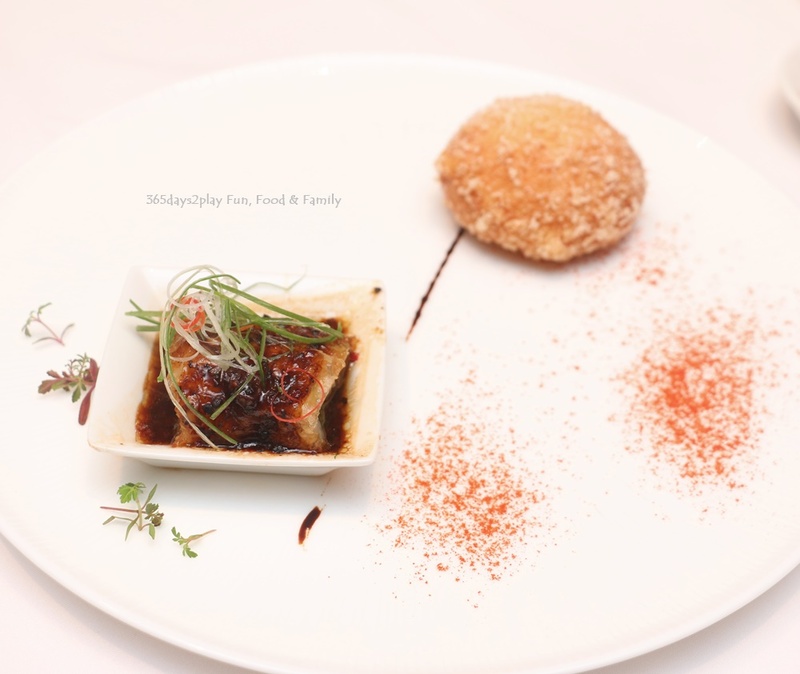 But this version sees the chilli crab stuffed into a bun itself, steamed and then fried. Here’s another picture of the bun. As you can see it is stuffed full of chilli crab. I always look forward to the soups that are served at Wan Hao because they never fail to please the palate. Their soups are usually boiled for hours to extract every single ounce of goodness from all the ingredients used. And a classic way to tell if your soup has been thickened naturally by this cooking process is to simply press your lips together to see if they are sticky. 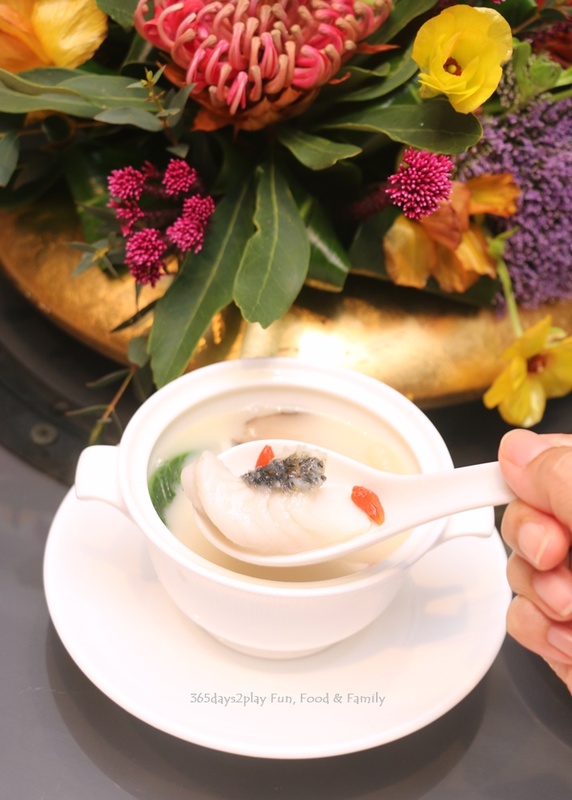 For this soup, aside from the delicious broth and the very tender marble goby (soon hock), there was a little surprise in the soup! There were some strands of what looked like noodles but tasted a little firmer. We discovered they were strips of abalone! What a fabulous way to eat abalone, this is probably the first time I’ve eaten it done up noodle like! We had a sneak peak at one of the dumplings for the upcoming dumpling festival. Have you seen a dumpling this big? 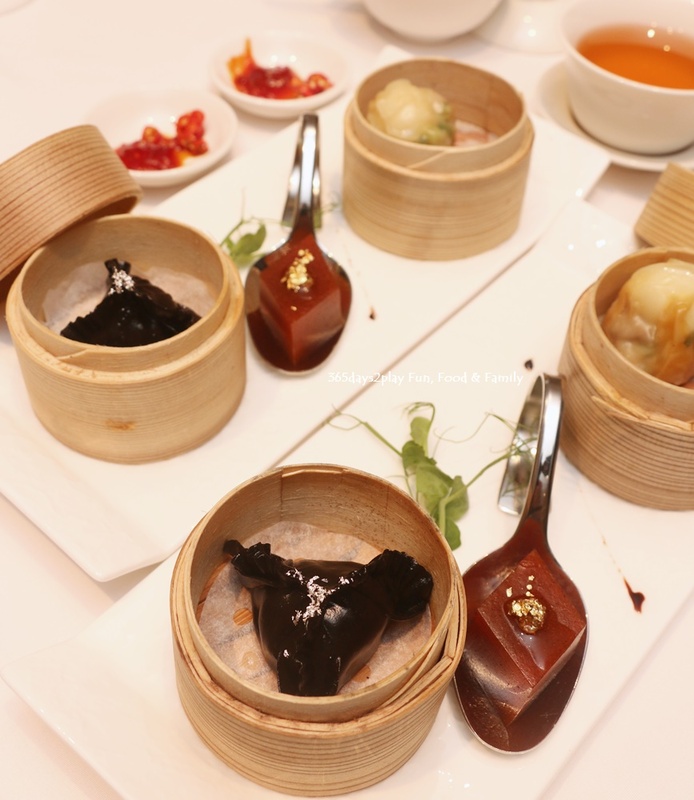 The Chinese love communal dining and Wan Hao decided to come up with a dumpling suitable for that purpose. 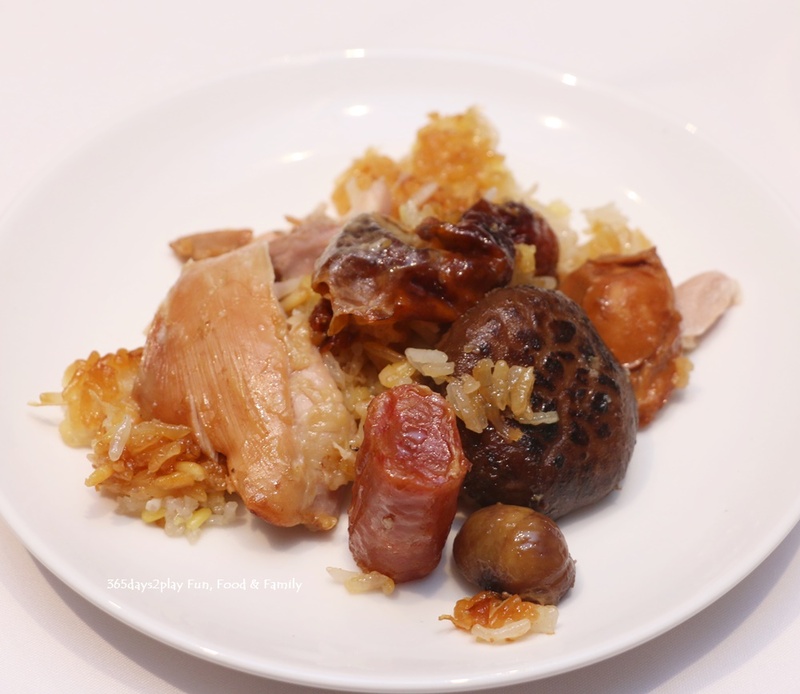 10 whole abalones, conpoy, Chinese sausage and chestnuts stuffed in the whole chicken, before it is encased in a layer of fragrant glutinous rice. Those are no ordinary ingredients there, many being imported from Hong Kong. 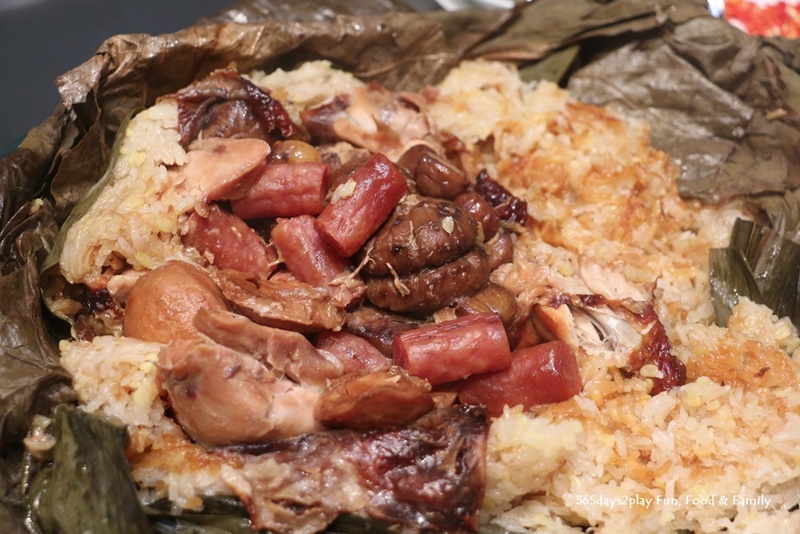 Even the sausage is a special one that is infused with Chinese wine. And if the dumpling looks a bit “loose” to you, it’s because it has been cooked in pandan-perfumed water rather than being steamed. Apparently this method allows the flavours of all the ingredients to mix together and infuse into the rice, as opposed to the steaming method where the ingredient flavours remain separate. Jelly desserts seem to be on the rise these days and why not. They are light and refreshing and gives some bite to sweet soup type desserts. The Bird’s Next Tart on the other hand was quite forgettable. Bird’s nest on its own is rather bland. To me, its role is to provide texture so it needs a far stronger accompaniment than the light custard beneath. « Hei Kim Cafe – Under the radar cafe in the East?